End of the year lists always seem to come out the same: the video games with the biggest budgets, biggest explosions, biggest everything tend to dominate. A couple of indie games might get included in a cursory fashion, but that’s about it. Back at Gamer Limit we used to write about our personal favorites. It allowed us to highlight games that affected us (see my 2010 and 2011 posts), and it’s a tradition I continued on my here last year. This year felt different for me. To say nothing of the horrendous movement that is #gamergate, 2014 felt like a year where my interest in mainstream AAA games and gaming culture hit an all-time low. But that doesn’t mean 2014 was a bad year for games themselves. Indie games are everywhere; and I even got my hands on some I backed via Kickstarter. Oh yeah, my list is in no particular order! Oh yeah again, a 2014 release date isn’t a requirement for my list; I only had to have played the game this year! The Ratchet & Clank series started in the PS2 era, and those games are good (though I haven’t gotten all the way through any of them), the series didn’t take off for me until the PS3 iterations. The series just gets better with every iteration. 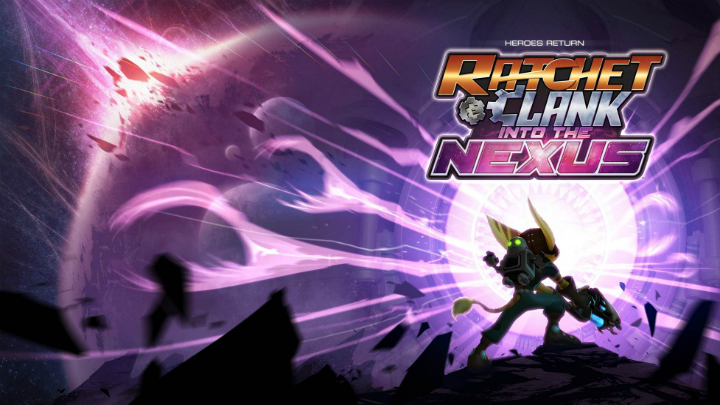 Into the Nexus is the swan song for the series on the PS3 and it’s everything that makes Ratchet & Clank great distilled into a focused, downloadable title. The art direction is amazing–like a Pixar movie that you get to play in. The story’s goofy, funny, and Into the Nexus just made me feel pure joy. Saturday morning cartoons meets zippy space opera meets an action adventure game with impeccably tuned controls and over-the-top weapons. I can’t wait for Insomniac Games to return to the series. I missed out on backing The Banner Saga on Kickstarter, but as soon as the first episode came out, I knew I had to get it. To contrast Into the Nexus’ obsession with joy, The Banner Saga is a game permeated with melancholy. Melancholy can be gorgeous and haunting at the same time, and the developers at Stoic Games nailed it. 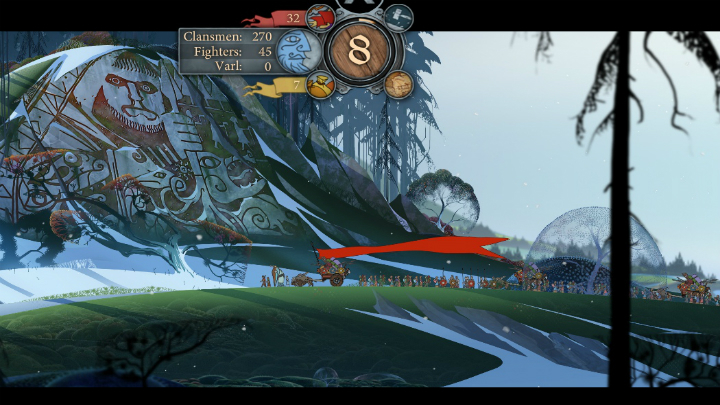 The game is set in a Viking-inspired world with a hand-drawn art style that looks like it came out of an old-timey Disney movie. The gods in this world are dead, and everything is slowly dying. To make matters worse, a race of walking suits of armor called the Dredge are rising and are intent on wiping out humanity and a race of horned giants called the Varl. The player takes control of a refugee caravan, and large portions of the game are spent watching the caravan travel from place to place, trying to stay ahead of the Dredge horde. All the while you watch your food stores dwindle and wonder when the people under your protection will start dying from starvation. Oh, and then random events can happen: you come across people claiming to be refugees but maybe they’re bandits, what do you do? Somebody has been stealing food from the caravan supplies, what do you do? Sometimes there’s no right answer and people die. Sometimes there is but people die anyway. In between stretches of travel, you participate in tactical, turn-based battles against humans, Varl, and Dredge. It’s a system similar to Final Fantasy Tactics, but it works. The funny thing is: the combat was my least favorite part of the game. By the end of the game, things had gotten a little repetitive but damn if I’m not going to get the second episode when it comes out. Nintendo rarely goes wrong with Mario games. Super Mario 3D World is no exception. I loved Mario Galaxy, but never finished Mario Galaxy 2 despite its excellence. This game came with my Wii U, and it’s easily a reason to get the console if you’re on the fence. Everything in the game just works, even the chaotic-made-my-wife-threaten-to-divorce-me-for-messing-her-up multiplayer. I tried playing Super Mario 3D Land on the 3DS but I just couldn’t get it, but the Wii U iteration clicked. My wife and I spent months playing the game, and we even collected all the stamps, green stars, and top o’ the flagpoles. If Super Mario 3D World is your latest in a long string of Mario games or your first one ever, it’s worth your time. Nintendo manufactures meticulous happiness flavored with nostalgia (at least for a lot of people my age-ish) and with this latest outing they’re still at the top of their game. I first heard of Cook, Serve, Delicious on Northernlion’s channel, and after watching his video I went out and bought it. So what is Cook, Serve, Delicious? I’d say it’s Guitar Hero meets running a restaurant. You’re a chef at a restaurant in an office tower, and your goal is to make your hole-in-the-wall greasy spoon into a Michelin star winning establishment. Every day you open your restaurant and cook four dishes for your patrons. Cooking is accomplished via quick time events and it takes some getting used to. Not only do you have to hit the right buttons, but some dishes take longer to cook than others, some have multiple steps, and the customers themselves are picky little bastards. Do good and you’ll be rewarded with extra tips. Fail and you’ll piss off your patrons and miss out on revenue which can be used to buy new stoves, dishwashers, and recipes. I haven’t played a Wolfenstein game since Wolfenstein 3D, but the premise of The New Order was too interesting to pass up. I mean, Germany winning WWII isn’t the most original idea for a speculative story, but The New Order excels when it comes to its setting. Nazi-fied Europe is terrifying, especially when you get to explore 1960s Berlin. The game doesn’t pull any punches when it comes to the setting and the horrors of the Nazi regime–especially a regime that ended up in uncontested control of the whole continent. What was more surprising was that Wolfenstein did it while being a First Person Shooter, a genre not known for subtlety (see: pretty much any AAA FPS franchise). The game wasn’t perfect though. I played it not knowing it was a sequel to 2009’s Wolfenstein, but the game assumes you’re familiar with the side characters that make up the resistance movement. Since I had no idea who any of these people were, some of the moments that were supposed to be the most affecting fell flat. The other reason this game ended up on my “Almost a Favorite” list is because even though I enjoyed playing it, I didn’t feel any compulsion to keep it once I was done. Still, my year was better because I played it. Highlight: shooting Nazis on the moon. Can you really go wrong with a Zelda game? The answer is yes. Very yes. I’m still angry at Nintendo for Skyward Sword. But I’m not angry at A Link Between Worlds. It’s a finely crafted Zelda game, and the big hook is a good one: it’s a sequel to the classic* A Link to the Past. So why is LBW not on my list of 2014 favorites? Because of its big hook, more specifically, the fact that it’s big hook wasn’t that big to me. The SNES was the first game console my family owned, but I never owned LTTP as a child. I never even played it until high school, and then it was on an emulator. So LBW doesn’t push my nostalgia buttons as hard as it might for other players either my age or perhaps just a couple years older. A Link Between Worlds is still a well-crafted game (it’s following a pretty dang good template for a start). I love the item rental mechanic, even if I think Nintendo could’ve gone a little bit further with the amount of freedom they give you. However, it’s a novel feeling buying the bow before the bombs or some other “Zelda Formula” breaking combo. 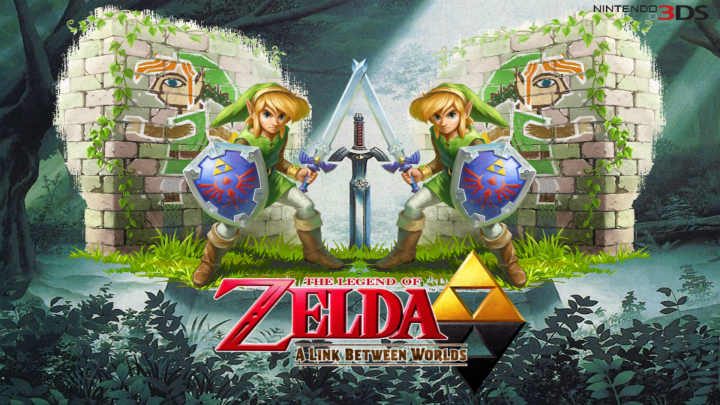 But is LBW my favorite handheld Zelda game? No. That honor goes to Minish Cap. This one was great game, but still an almost favorite. Are the following two games“bad” games? I dunno. Maybe? Not sure how you’d really qualify or quantify that. But I can say definitively that these were my personal duds of 2014. Pier Solar HD is on my list of shame more because of how much of a letdown it ended up being. I backed the game on Kickstarter in 2012, and I spent the past two years waiting for the HD version to come out. How could I not be excited? 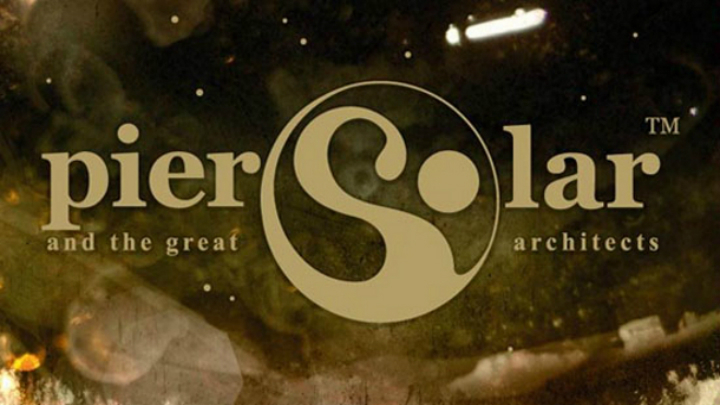 Pier Solar was a Genesis game released in 2010. Yes. A Sega Genesis game developed and released in the Year of Our Luigi 2010. What? And a classic JRPG to boot! So hell yeah I was all on board for an HD version on Steam. Unfortunately, I didn’t make it more than a couple of hours into the game… The writing didn’t do it for me, and I guess I’m not as big a fan of old school JRPGs as I used to be. Plus the game was terrible at explaining how to turn on the auto-save feature. It might have been a perfectly serviceable throwback, but no thank you. I’ll pass. I’m not sure what I was expecting going into Yoshi’s New Island. The original Yoshi’s Island on the SNES is one of my favorite games of all time (and IMO one of the best games of all time) so Nintendo had a lot to live up to in making a sequel to one of their classics. I mean, they already made a sequel on the DS that was okay. Not amazing, but okay. Right off the bat, I wasn’t a fan of the art direction. Everything just looked weird. Yes, I realize that’s a highly technical term, but I’m sticking with it. Yoshi’s New Island isn’t terrible, but it felt more like it was put together by following a list of things a Yoshi platformer should have. That lack of heart, that special care that you can feel in Yoshi’s Island wasn’t there in this New version for me. And that’s it for 2014! Come back in a year for more!